When the SUV became mega popular in the 1990s, many buyers traded in their cars for SUVs. A few decades later, the SUV is still going strong with no end in sight. Part of the appeal of the SUV, is its superior cargo space and versatility when compared to a car. With so many very good new SUVs available, it’s hard to pick which ones are the top of the heap. 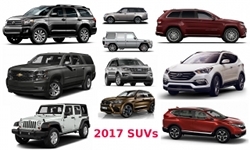 Here’s the list of the five best SUVs you can buy for the 2017 model year. It’s easy to bash the Suburban for its massive size. But if you ever need a vehicle this size you’ll be glad Chevrolet still makes one. There are many families that have a need for a large SUV for the purpose of hauling around a bunch of kids, towing a boat, or just carrying a lot of cargo. 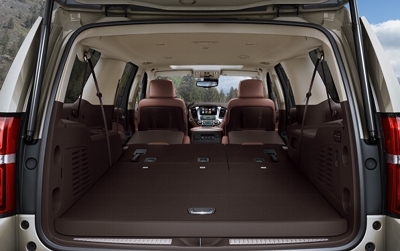 The Suburban with its 3 row of seats can fit up to 9 adults comfortably. Only Ford offers a competitor to the Suburban, the Expedition EL, however it’s production figures are tiny in comparison to the Suburban’s. For good reason, the Suburban has offered traditional boxy styling, a comfortable interior, and many different options and features. The buying public has responded with giving the Suburban strong sales for many years. When it comes to the power under the hood, the Suburban 1500 has recently become a one trick pony, with a 5.3 liter V8 being its only motor. The motor may be smaller in displacement than some previous Suburban V8s but it gets the job done well. The 5.3 liter V8 produces 355 horsepower and 383 lb-ft of torque. This power allows this heavy 5,600-lb SUV to sprint from 0-60 mph in an impressive 7.1 seconds. Towing capacity is 8,300 lbs. Unlike most large three row SUVs, the Suburban has a massive cargo area behind the third seat row – 39 cubic feet of space to be exact, that’s almost three times the cargo capacity found in a 2017 Honda Accord’s trunk. Starting price is a reasonable $49,915, however selecting every possible option can raise the sticker price to the mid-$70,000 range. Most well equipped 4-wheel drive Suburbans have a sticker price in the mid-$60,000 range. The reason why the Suburban made our list is that it is a true treasure. With its comfortable interior with plenty of headroom and exterior visibility, its massive total cargo capacity of 121.7 cubic feet, and traditional SUV looks – it’s hard not to love the Suburban. finally become the big cheese. Where else can you get an optional 4-zone climate control system and the finest mix of wood and leather in a SUV interior? And there’s so many luxury, convenience, and personal options that it boggles the mind. This includes a great selection of exterior and interior color and trim options. There are several different Range Rover models to choose from, there are also two wheelbase lengths available with the Range Rover. The base model Range Rover which is only available in the standard wheelbase starts out $84,950. Range Rover models continue to move up in price all the way up to the long wheel base SVAutobiography which has a base price of $199,495. The Range Rover may be a large SUV which has a total length of 197 to 205-inches, however it does not offer a third seating row. 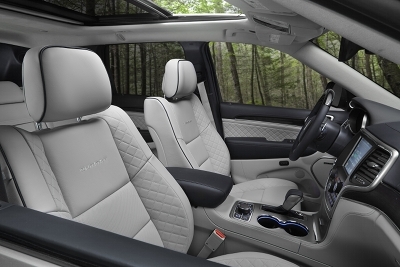 The Range Rover only comes in 4 or 5 passenger seating capacity. This is because the Range Rover is not a family hauler, it is a pure luxury cruiser. It’s main purpose in life is to offer an ultra comfortable ride and an interior more comfortable than most living room furniture. Don’t let it’s large wheels with low profile tires fool you, the Range Rover’s superior 4-wheel drive system can tackle any weather condition or terrain you can throw at it. 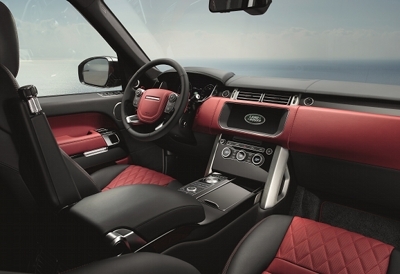 The Range Rover is available with a supercharged 3.0 liter V6 producing 340 or 380 horsepower. A 254 horsepower turbo diesel 3.0 liter V6 is optional, it produces an amazing 443 lb-ft of torque. The big daddy engine option is the 510 or 550 horsepower supercharged 5.0 liter V8. If you are going to be spending the big bucks to cruise in ultimate SUV luxury, the V8 is the only way to fly. 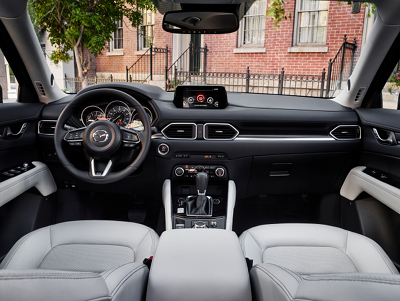 When it comes to finding the best budget oriented compact SUV, the Mazda CX-5 is very hard to beat. It has a base price of $21,795 for the front-wheel drive version and $24,445 for the all-wheel drive version. As most SUV buyers have discovered base prices are meaningless since the automakers eventually grab the money out of your wallet with all the pricey options. Not here, you can go crazy with the options and still not exceed $30,000. This is why the CX-5 is a value leader in its segment, not to mention it gets great gas mileage, 35 MPG on the highway for the 2.4 liter 4 – so the savings continue long after the initial purchase. Its standard 155 horsepower 2.0 liter 4-cylinder provides amble power and it’s optional 184 horsepower 2.5 liter 4-cylinder gives this reasonable-sized SUV plenty of performance punch. Its steering and handling manners are so good, they will surprise you. You’ll have to pinch yourself to prove your not dreaming your driving a sports car. To sum it up, this is a fun vehicle to drive, not to mention its size is perfect for most families by providing spacious seating for 5-passengers. The CX-5 isn’t made for off-road driving conditions. With a small percentage of SUV buyers actually using their vehicles off-road, this is a moot point with most buyers. When equipped with the optional all-wheel drive system the CX-5 can safely navigate its passengers through the rain, snow, and ice that finds its way onto paved roads. For the value oriented SUV buyer, the CX-5 is too good to pass up. The Grand Cherokee has been the top banana in its class since the introduction of the first Grand Cherokee, 25 years ago. It has had plenty of power under the hood in the form of powerful 6-cylinder and V8 engines over the years. For 2017, engine choices have never been better. There’s a 293 horsepower 3.6 liter V6, a 360 horsepower 5.7 liter Hemi V8, and a 475 horsepower 6.4 liter Hemi V8. Also optional is a 240 horsepower turbo diesel 3.0 liter V6 which produces a mighty 420 lb-ft of torque and is able to obtain 30 mpg in highway driving. just isn’t enough, there’s a upscale luxury Overland model and then the ultra luxury Summit model. Additionally there’s the ultimate off-road Grand Cherokee – the Trailhawk. And for performance buyers there’s a super high performance SRT model. 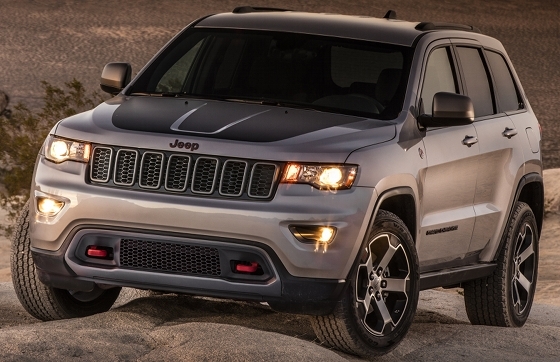 No matter which way you slice it, there’s a Grand Cherokee for every buyer. There’s no SUV on the market that can say this. If you are in the market for a mid-size SUV, there’s just nothing better than a new Grand Cherokee. It numerous list of options and features, along with its functionality in just about every weather or off-road condition keeps the Grand Cherokee a hot seller. The Grand Cherokee for the last three decades has been a winner in its class, for 2017 this statement is more true than ever. Its first civilian predecessor, the CJ, was a SUV a half of century before the the term was invented. With the current CAFE ratings and other federal mandates it’s nothing short of a miracle a vehicle like the Wrangler is still produced. It is the ultimate go anywhere, do anything SUV. No trail or off-road obstacle is too tough for this vehicle to conquer. Choosing the top-of-the-line Rubicon model will give you the best off-road production vehicle you can buy. The Wrangler is old school from it’s traditional body on frame design to its front and rear solid axles. It also has something most vehicles lack, a removable soft top and hardtop. And if that’s not enough open air experience, the side doors can be easily removed. Surprising the Wrangler doesn’t drive like an old Mack truck, it’s coil suspension and tight steering give the Wrangler civilized ride and handling manners compared to its predecessors but still rough compared to modern SUVs. There’s enough convenience, luxury, and appearance options to ensure that buying a Wrangler gives you most of the goodies you’ll find on other SUVs. However if you go crazy with the options you can slightly exceed the $50,000 mark. Though the Wrangler is available in both a 2-door or 4-door configuration, the 4-door outsells the 2-door by a 4-to-1 margin. The 4-door gives the Wrangler a larger backseat and excellent cargo capacity, thus it can easy fulfill the role as day-to-day family vehicle. 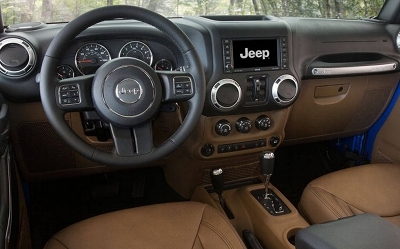 The Wrangler comes standard with a powerful 285 horsepower and 260 lb-ft of torque 3.6 liter V6, and Jeep gives you a choice between a 6-speed manual or a 5-speed automatic transmission. Even if you never take the top off or ever go off-road, the Wrangler will garner lots of thumbs up and compliments from many different people. It’s a vehicle that seems to attract more attention than many exotic sports cars. 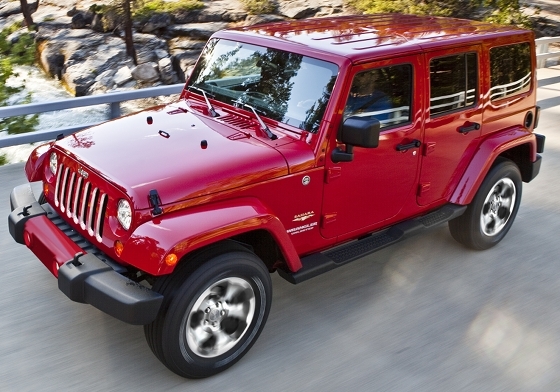 The Wrangler is the only SUV that will bring back the smile you used to have as a kid on Christmas morning. Though an all-new Wrangler is coming soon for 2018, Jeep will have no problem moving every single one of the many 2017 Wranglers it will produce. It’s just that good a vehicle.